Power, generated at a power plant and stepped up to a high transmission voltage, is brought to a local substation. Here, it is stepped down to a lower distribution voltage. When it reaches its final destination at a residential customer, it is stepped down to 240 volts. Only single-phase power is used in a typical residential application. The most common supply system used in U. S. residential applications today is a single-phase, three-wire supply system. In this system, the voltage between either hot wire and neutral is 120 volts and the voltage between the two hot wires is 240 volts. The 120-volt supply is used for general purpose receptacles and lighting. The 240 volt supply is used for heating, cooling, cooking, and other high-demand loads. While single-phase power is needed for most residential applications, three-phase power is used in many other applications. In a three-phase system, the generator produces three voltages. Each voltage phase rises and falls at the same frequency (60 Hz in the U.S., 50 Hz in many other countries); however, the phases are offset from each other by 120°. 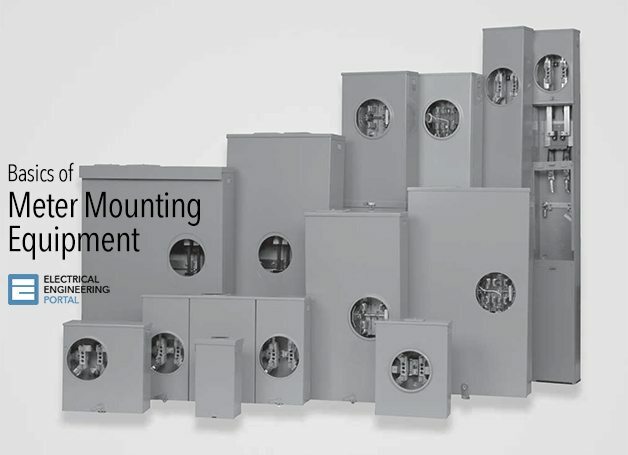 Transformers used with three-phase power require three interconnected coils in both the primary and the secondary. These transformers can be connected in either a wye or a delta configuration. The type of transformer and the actual voltage depend on the requirements of the power company and the needs of the customer. Power, purchased from a utility company, enters the house through a metering device and connects to a load center. This is the service entrance. Service can come from an overhead utility transformer or from a lateral service run underground.